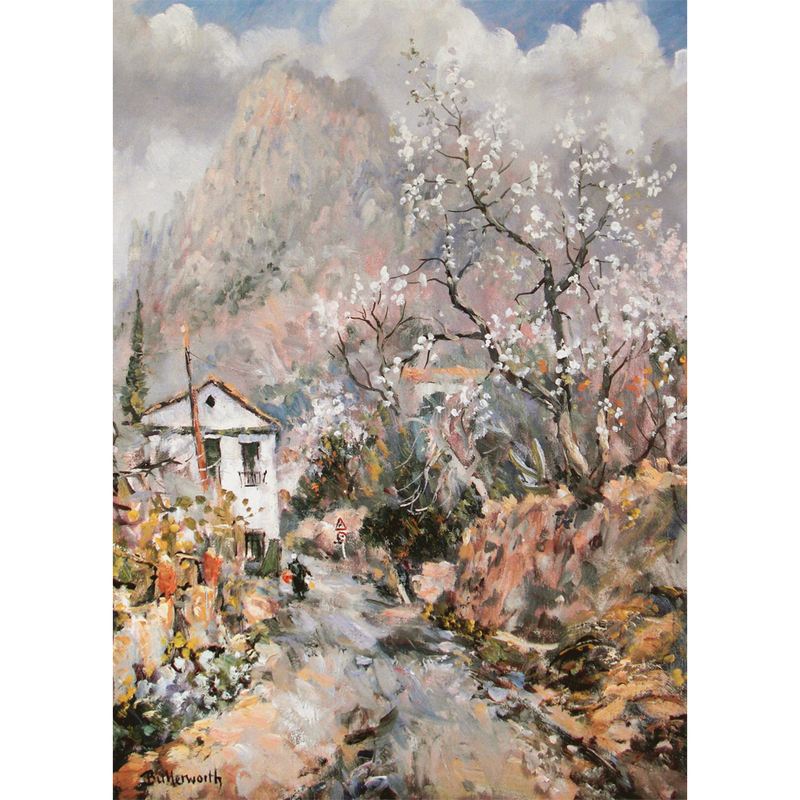 Almond Blossom and Puig Campana in Alicante province, Spain. Signed lithograph limited to 250 copies. Size including white border 56 cm x 42 cm.